Mathieu van der Poel has taken the Cyclocross World Championships title for the second time in his career. The Dutchman dominated the entire race and easily beat the other favourite of the day, Wout van Aert. Van der Poel was part of the front group from the first laps of the race in Bogense, Denmark. In the third lap, the Dutchman attacked in the hardest part of the course while Van Aert's back wheel slipped. The three-time World Champion was capable of catching Van der Poel but the second part of the race proved particularly hard for the Belgian and the Dutch rider could take advantage of that. While Van der Poel's advantage kept growing, Toon Aerts managed to catch his Belgian teammate, but a wheel slip in the last lap gave Van Aert the second place on the podium. 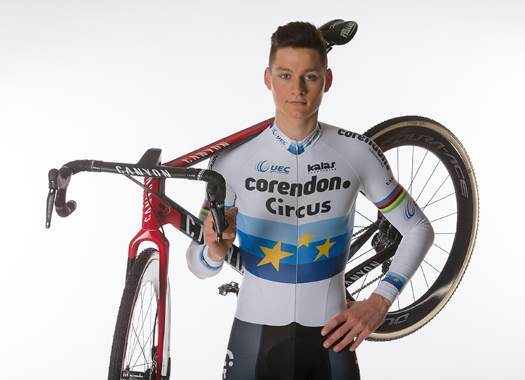 In 2015, Van der Poel became the youngest world champion of the discipline and four years later he has taken the rainbow jersey back.